When you want your professionalism to command attention, slip into a suit. 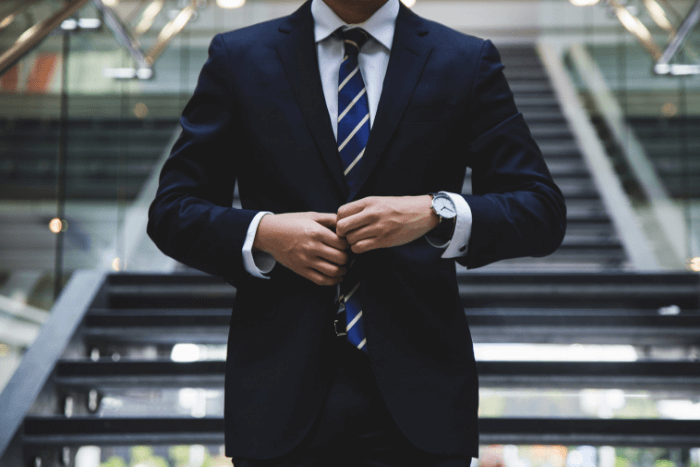 Business attire for men in public, high-powered roles is often crisp trousers and a tailored jacket flanked with fashionable accessories including a tie and pocket square. This polished look says you’re ready to tackle whatever challenges come your way! If you haven’t had to wear suits for work in the past, you might wonder how to put this sharp office look together, without looking like you’re heading to a wedding. Here are a few business suit tips for men. When it comes to office wear, classic colors are the go-to palette. We suggest both light and dark gray, black, and shades of blue. These colors can be accented with pinstripes or a light pattern such as plaid, if that’s your style. So, what goes beyond your office dress code? Tan and white suits are best left for summer formal events, like a graduation party or wedding reception. And that bold polka-dotted suit tucked in the back of your closet is only appropriate for an office Halloween gathering. When it comes to workwear, it should flatter your physique. 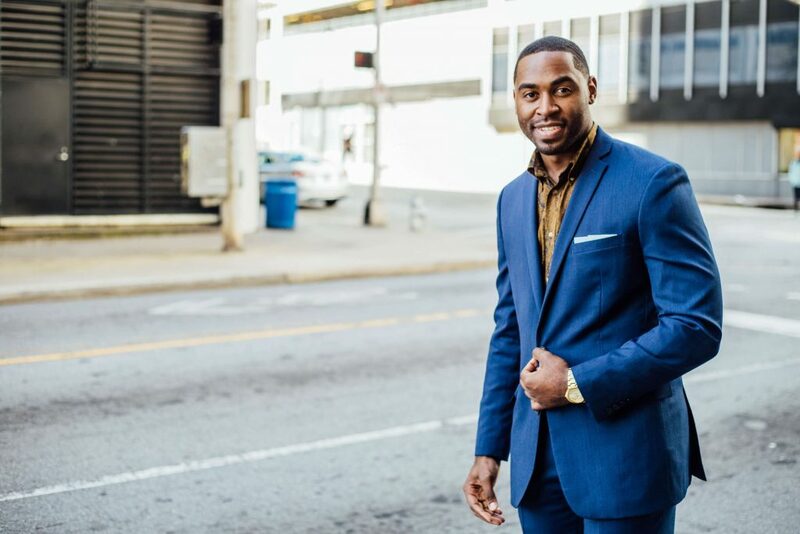 Usually, a slim fit suit (which works on all body types) is chosen because it contours the shoulders, arms, hips, and legs perfectly without drooping or draping. We also recommend not choosing specialty mandarin lapels, jackets with tails, or other trendy designs that will become outdated or look out of place in a professional setting. Save the fancier styles for social gatherings, such as holiday parties or weekend visits to the symphony. Ties: Both bow-style and Windsor are perfect for the office. Pocket squares: Choose a color or pattern that plays off the tie. Lapel pin: Show off a company anniversary gift, a patriotic flag, or personal likes with a simple pin, positioned an inch or two below the notch on your lapel. Cufflinks: Love bling? Add a bit of whimsy to your look with novelty cufflinks. Socks: Have fun by accenting your suit and tie with colorful, patterned socks. Shoes: Much like socks, you can spice up your entire ensemble with something a little different. Loafers, derbys, or sneakers can all add extra flair to your look. Need more ideas and inspiration for your business suit? Browse Jim’s Formal Wear business attire for men to refresh your workday look in just a few clicks.